* New York City is full of delis, bodegas, diners, and restaurants, offering an unbelievable variety of food. * I carry a 26-pound backpack stuffed to the gills with equipment, which just barely fits under a subway seat as it is. Clipping on a lunchbox or insulated lunch bag would add weight, bulk, and ungainliness, and would probably look kind of unprofessional, to boot. * I wake up at 5:30 am several days a week. The last thing I want to do at that hour is put my lunch together from scratch. * Eating out is expensive. The University's cash-only cafeteria is pretty good, but most entrees are $10 or more, and most of it isn't particularly healthy. There isn't always seating during the lunch rush, plus having to get cash for it all the time is a pain. Most of the places near the University are even more expensive, and their healthiness is usually in inverse proportion to their tastiness. * I clean out my fridge every few weeks, and I always seem to come across leftovers that never got eaten and just went to waste. I hate that feeling. * I'd rather eat several small meals than one big meal. If all I've eaten all day is a large lunch around 11:00, I'm much more likely to be hungry when I get out at 5:00, which makes it all too tempting to just buy a bag of chips at the 7-11 to eat on the bus ride home, spoiling both my dinner and my lipid levels. If I have some breakfast on the train to work, most of my lunch at 11:00, and then a handful of nuts and fruit at 3:00, I'm much better able to ride out my belly until I can get home and put dinner on the table. * Refried beans left over from the Mexican restaurant delivery food we had on Tuesday. * Mixed greens with homemade Mustard Fig Balsamic Vinaigrette. * Miso Marinated Boiled Egg. * Carrots, bell peppers, radishes, and celery. * Cut-up cubes of Jarlsberg and Gouda, two of my favorite cheeses. * Apricots, plums, apples, pears, or grapes, sometimes with a small foil packet of peanut butter (which you can buy in small quantities at stores like Minimus). * Granola bars, all along the spectrum from healthy (low sugar, flax seed and almonds) to not so healthy (chocolate and peanut butter). * Mixed nuts. I like an equal mix of cashews, hazelnuts, pecans, walnuts, almonds and peanuts. * Salsa, either homemade or storebought. * Bean chips, which are a tiny bit better for you than potato chips, but still taste great with salsa. As a longtime junk food addict, I'm all about the marginally healthier alternatives. * Crispbread with butter and Marmite. I know it's weird for someone who grew up in Montana to love a British staple like Marmite, but I can't help it. It's been my favorite condiment since I was a kid and my dad got me hooked on it. (No idea how he started eating it; he grew up in Queens.) So savory and salty. Mmmm. High in niacin and folic acid, too! * The old standby: A classic peanut butter and jelly sandwich. * Iced herbal tea. I like making some fridge tea -- usually a mix of berry flavors and chamomile -- and then diluting it heavily with water, so there's just a hint of flavor. The straight-up berry tea is usually too sweet and cloying for me. 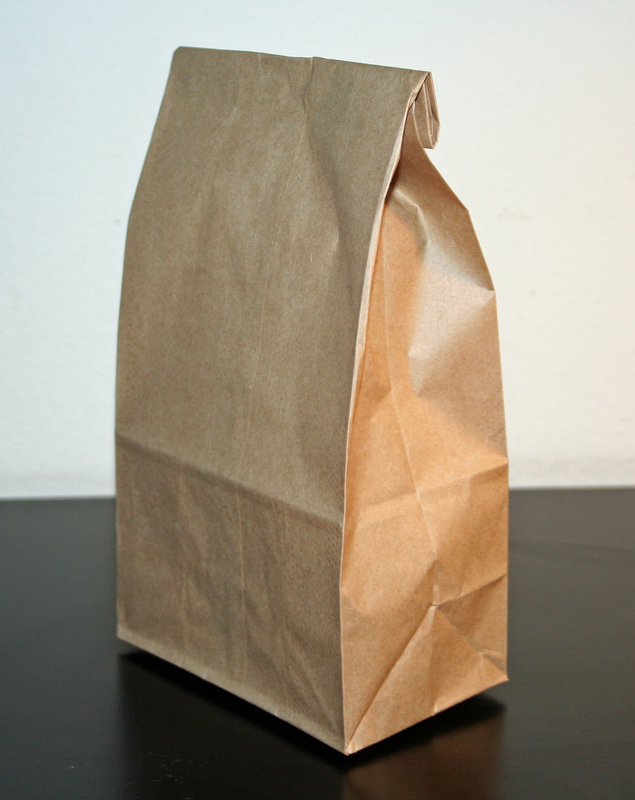 I've also ordered a copy of The Brown Bag Lunch Cookbook, so when it arrives it'll hopefully give me even more ideas. And it's fun crawling around the web, looking at sites like Just Bento, which gave me the recipe for the miso marinated eggs. Even though I don't have room for an actual bento box and lack the patience to construct the intricate designs and patterns bento is famous for, it's fun to see what people are getting up to in other corners of the lunch-lugging world. The last issue, of course, is how to deal with that whole bleary-eyed 5:30 am thing. I've realized that I can do most of the packing on the night before, or sometimes even the weekend before. I'll cut a whole bunch of vegetables on Sunday and put them in a quart-sized Ziploc. They'll stay fresh all week, and I can parcel them into individual sandwich-sized bags as the urge takes me the evening before I think I might want them. At first I'd get really excited about a particular lunch item and then forget to take it out of the fridge in the morning, but I've more or less solved that by writing a menu for myself on the whiteboard before going to bed. Then, even though my brain is only operating at a fraction of its normal capacity when I'm stumbling around in the wee hours of the morning, I can just go straight down the list and put everything together. I suppose it's only a matter of time before I forget my lunch entirely and have to eat out after all, but that'll be okay when it happens. It's the overall change of habit that counts, and I have to say I'm having a really good time with it. We'll see how long I manage to keep it up, but so far, so good!